Have you ever wanted to take a step in to the past and experience the rich history of a place? You can on the Morocco Accessible Group Tour. Now giving you customizable accessibility with great value you can navigate through the 1,200 year old winding streets of Fes, one of the largest vehicle-free urban areas in the world. Explore the 2,000 year old Roman ruins of Volubilis. Dip your fingers into succulent Moroccan Tajines. With a maximum group size of 12 this won’t even feel like a group tour. Contact us now to book your tour of the Imperial cities of exotic Morocco. Please contact us with any specific equipment rental needs that you might have as well as any questions regarding assistance with pushing a wheelchair on excursions. Upon arrival in Casablanca the economic capital of Morocco, your driver will meet you and bring you to your downtown hotel where orientation of this group tour will start in the afternoon. You will start your tour by visiting the Hassan II Mosque which extends into the Atlantic Ocean standing as one of the largest mosques in the world. This mosque is the only one in Morocco which non-Muslims are allowed to enter and was designed with an eye toward accessibility. Continue on to Rabat where you will enjoy lunch before taking a driving tour of Rabat, stopping at Le Tour Hassan and the Mohammed V Mausoleum (note that the Mausoleum view is partially blocked by stairs, but people are not allowed to enter this sacred place anyways). Continue on to Fes where you will stay the next three nights. 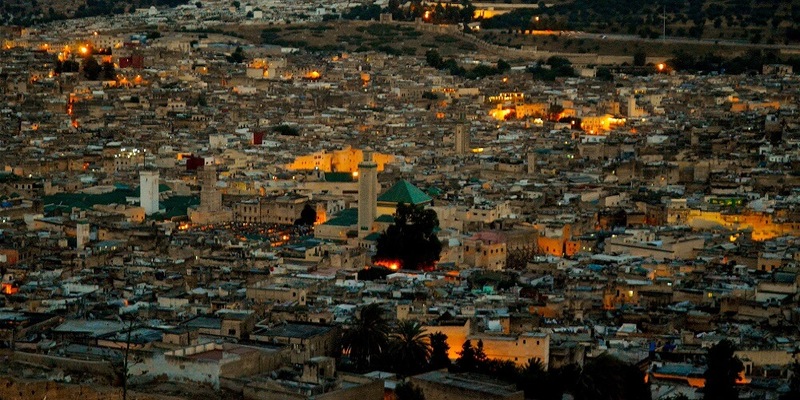 Set out into the Medina of Fes—the religious and cultural heartbeat of Morocco. This is one of the world’s largest walled in cities. You will explore the narrow streets lined with fresh fruit, mounds of spices, intricately woven Berber carpets and many other art objects of Morocco. You will appreciate your guides intimate knowledge as you navigate the maze of narrow streets of this, the worlds larges vehicle-free urban area. Take lunch in a traditional restaurant in the heart of the medina and then visit the King’s Palace, the potters and the Jewish quarter. In the afternoon you will be stunned by the view of this ancient city from up on the hill by the Marinid ruins. After freshening up you will head out in the evening again to enjoy more delicious dishes in this culinary capital boasts. After breakfast drive west toward the ancient Roman ruins of Volubilis. This involves some rougher terrain but parts of the ruins are accessible by wheelchair. Lunch may be taken in Moulay Idris, one of the holiest cities in Morocco. After lunch, you will enjoy a driving tour of the imperial city, Meknes where some of Morocco’s fiercest rulers lived. Return to Fes to relax for the remainder of the afternoon before going out on the town for dinner again. Morocco boasts many traditional dishes but international fare is also available. After an early breakfast, you will depart for Marrakech. Enjoy the day traveling South, taking in the scenery of beach and mountainous views that will surround you as you go. Not to worry – we have researched the accessible bathrooms along the way to make this longer drive day very comfortable for you! After checking into your accommodations and then head off to the Djemaa el-Fna, the famous center square of the medina. Coming alive at night with the local storytellers, entertainers, and mouth-watering barbeque pits, the square is well worth a visit. After breakfast, you will have a guided tour of Marrakech, the southern pearl of Morocco. You will discover the Palace of the Bahia, the Saadian Tombs, and many other hidden treasures. Whether your heart beats for traditional artisan work, culinary delights, or exotic history – Marrakech has something to offer you! After lunch, you will continue with an exploration of the souk (market) of Marrakech. Take a slow morning around Marrakech doing any last minute shopping in the souks. After lunch, you will drive north again to Casablanca for your final night. Casablanca’s Art Deco architecture is quite fascinating and depending on your energy levels you may wish to venture out to explore. With lifelong memories, stories of your journey to share and souvenirs in your suitcase, your driver will make sure you get to the airport with plenty of time for departure at Casablanca Mohammed V Airport. 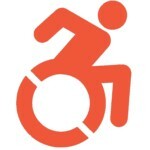 Our activities and accommodations are designed to be fully wheelchair accessible; however, there may be aspects of every tour that are difficult or even impossible for some wheelchair users. The only way we can be sure a tour will be fully accessible for you is to communicate directly with each individual regarding your specific needs. Please contact us and we can send you a link with our mobility questionnaire to see how we can specifically customize this itinerary to fit your needs and desires. Let’s get in touch – tell us a bit more about any assistive equipment you might need to rent and other details regarding your dreams for a group tour to Morocco! We are excited to start creating the perfect vacation or holiday for you! * Group tour pricing based on double occupancy rooms. Additional single supplement for a private room is 4410 MAD per person.